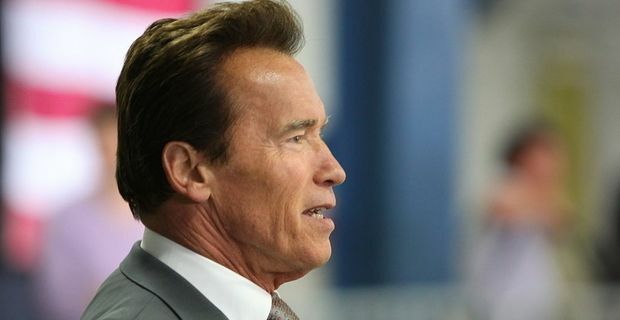 Arnold Schwarzenegger, at something of a loose end since his political career petered out, has agreed to return to one of his early roles, Conan The Barbarian. The immediate suspicion was that the sequel would be called Conan the Sexagenarian and feature the wrinkled warrior moaning about arthritis and renewing his library books. That’s not entirely off-target, as writer Chris Morgan admits that the story will concentrate on a mature Conan. "This movie picks up Conan where Arnold is now in his life," Morgan said, "and we will be able to use the fact that he has aged in this story. I love the property of Conan so much that I wouldn’t touch it unless we came up with something worthy. We think this is a worthy successor to the original film. Think of this as Conan's Unforgiven." Schwarzenegger first played the role nearly thirty years ago, so that’s quite a time chasm to leap. The actor is confident he can get back into character. "I always loved the Conan character and I'm honoured to be asked to step into the role once again," he said. "I can't wait to work with Universal and the great team of Fredrik Malmberg and Chris Morgan to develop the next step of this truly epic story." The decision is something of a commercially desperate one. An attempt to reboot the Conan character in a new version starring Jason Momoa as the barbarian in 2011 was a massive flop. It seems cinema-goers associate the mumbling Austrian indelibly with the character.